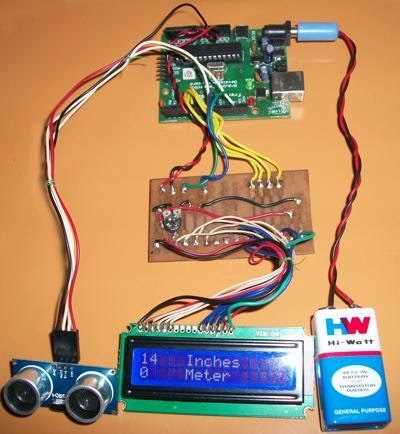 this project you will need Transducer and Sensors for Ultrasound Transmission and Detection. One such Transceivers is HC-SR04 Module. These devices typically transmit a short burst of ultrasonic sound toward a target and detect sound back to the sensor. Beside this you will need Arduino Board and 16×2 LCD Display. 0 Response to "Distance Measurement By Using Ultra Sound Technology"